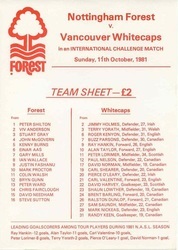 5 v Vancouver Whitecaps (Canada, friendly), - 2 covers and 2 single sheets. 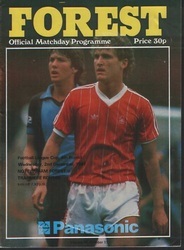 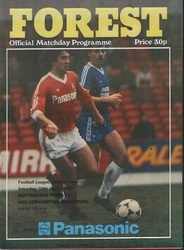 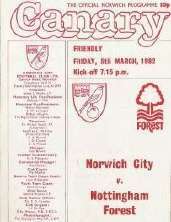 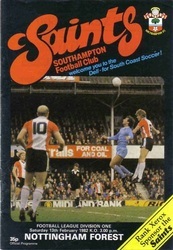 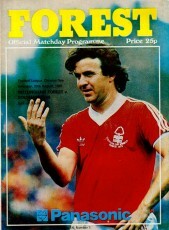 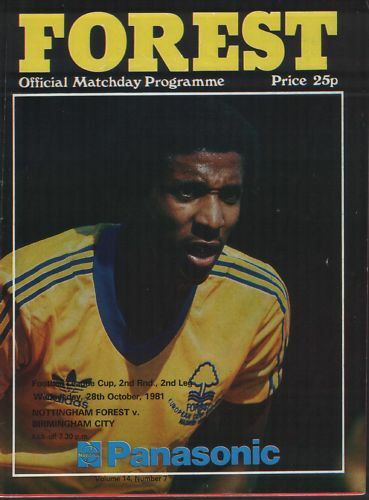 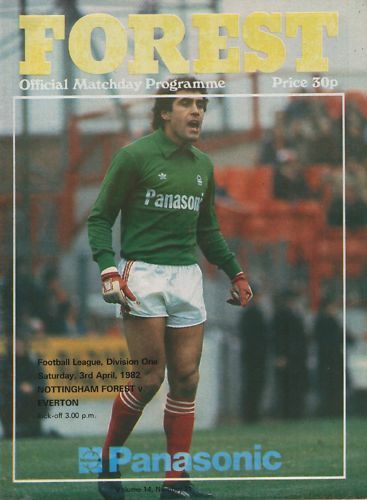 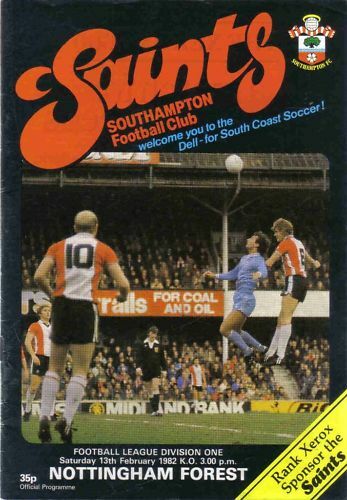 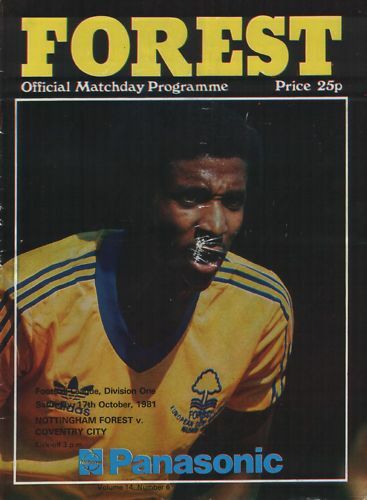 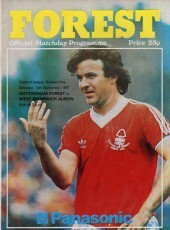 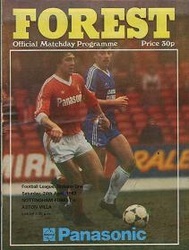 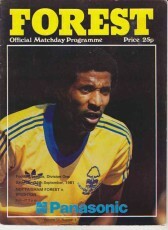 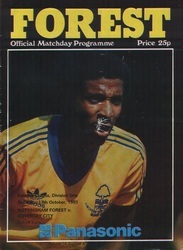 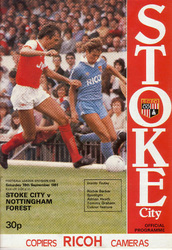 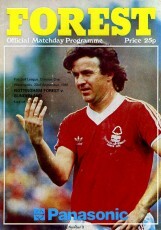 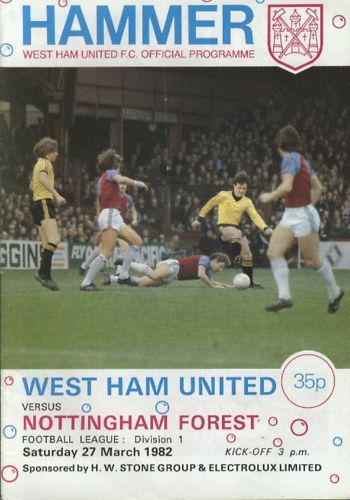 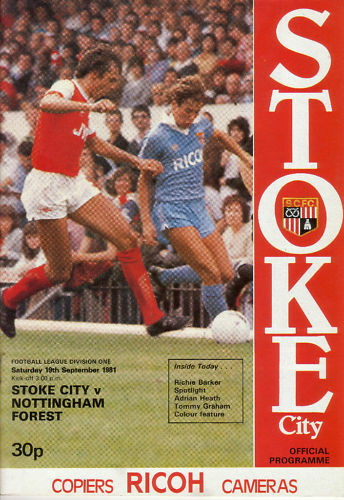 13 v Notts County - Postponed, original programme only used for re-arranged fixture. 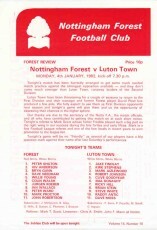 15 v Luton Town (Friendly), - Single sheet. 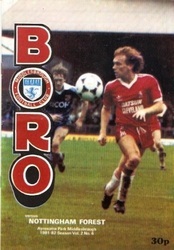 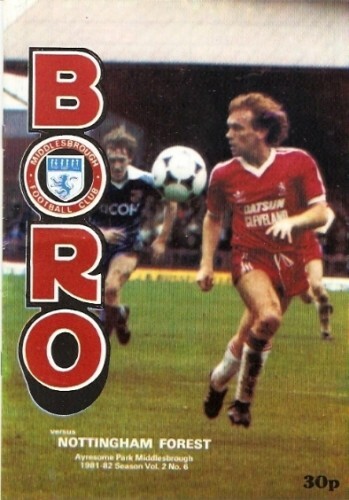 18 v Middlesbrough, - 2 covers. 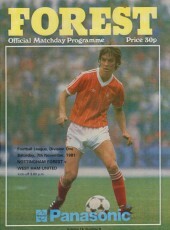 (1) v Linfield (Northern Ireland, pre-season friendly), 11/8/81. 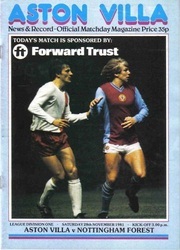 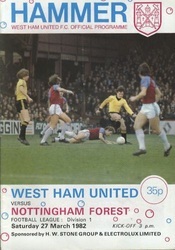 (15) v Wolverhampton Wanderers, 26/12/81 – postponed. 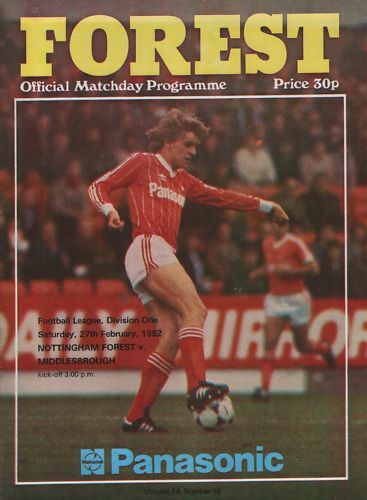 (21) v Wolverhampton Wanderers, 16/2/82. (1) Zaragoza Tournament (Spain, games v Osasuna Pamplona 20/8/81 & Real Zaragoza 20-21/8/81). 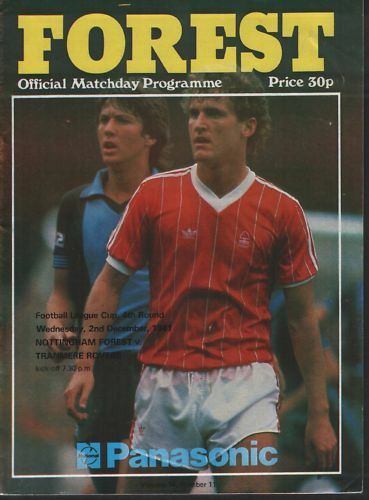 (2) Napoli (Italy) v Nottingham Forest (Pre-season friendly), 25/8/81. (3) Valerengen (Norway) v Nottingham Forest (Friendly), 13/10/81. 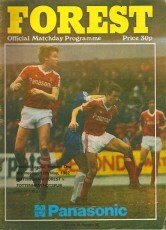 (4) Rotherham United v Nottingham Forest (in Guernsey, Friendly), 29/12/81. 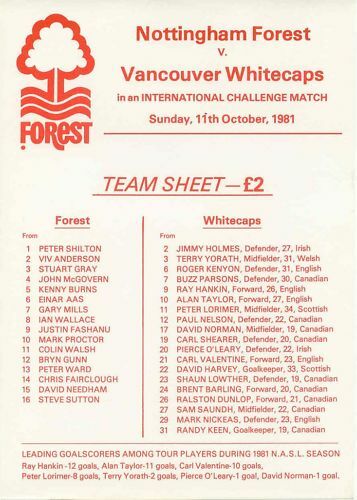 (5) Kuwait XI v Nottingham Forest (in Morocco, friendly), 22/5/82.